I’ve long been a user/member of the streaming mix site 8tracks.com. The service put a one-hour cap per day on free streaming in 2016. Today the streaming limitations were lifted and now anyone can listen to audio streams on 8tracks.com whether or not they are a member. Audio streams have advertising commercials inserted into them. For those who want an ad-free experience, can opt for the paid service know as 8tracks Plus. 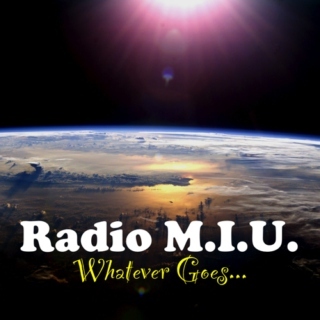 I published several streams to 8tracks at my Radio M.I.U. page. The page features Classic Rock, Old Top 40 Hits, disco, Hawaiian, country and popular standards streams. Check it out, now free of charge. 8tracks streams on the web as well as through their Android and iOS apps. And it gets even better; the 1-track limit for logged-out listeners has also been removed, so now when you share a mix with friends, they can hear the entire thing right away. We promise this isn’t some cruel joke; go ahead andshare any of these mixes with a friend to see for yourself! To see more of our upcoming projects and be an active part of 8tracks’ future,join us here on Wefunder where we’re about to launch a new crowdfunding round which will allow investors to own shares in 8tracks and receive a lifetime upgrade to ad-free 8tracks Plus. Over $100,000 worth of shareshave already been reserved by 400+ investors since our Wefunder profile opened last week. This entry was posted in Announcement, Internet, streaming and tagged audio, Internet, music, radio, streaming. Bookmark the permalink.